We had an awesome Halloween Party! About 20 kids in age from 5 years old to 14 years old came to celebrate this spooky day in Aerial Art House. We had lots of fun trying to steel red eyes owl, visiting hunted castle and playing Aerial and floor statues! For adults there were games and competitions with amazing circus prices to win as well as horror movie projection! See you next year and Happy Halloween! This event is much more than just a swap shop. 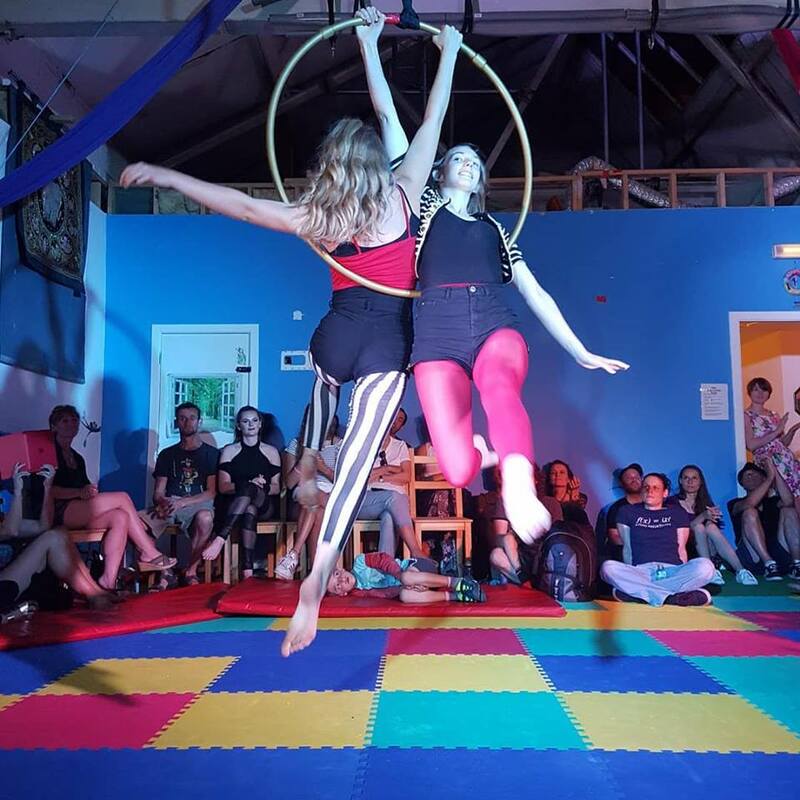 It is a meeting of all kinds of artists- aerialists, musicians, photographers, painting, drawing and crafts artists. Whatever your talent or passion is, just bring it with you and share with others!